While men don’t often think of the more “creative” endeavors of music and art as manly, the truth is quite a different story. 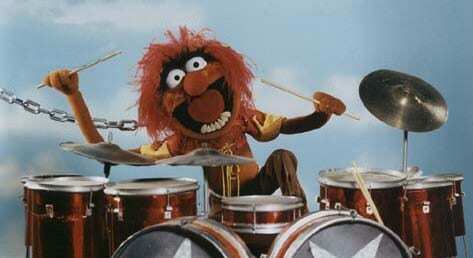 True, we have been pounding on drums since the dawn of time… But there’s more to it than that! The greatest artists and musicians who ever lived are predominantly male. And that’s not by chance, and it’s not because men somehow repress women into not pursuing these endeavors. It’s because of the masculine brain and how we, as guys, are wired. Countless studies of the male and female brain and psyche have shown clear differences between men and women. A great reference for this is a book called The Essential Difference: The Truth About The Male & Female Brain, which does a great job breaking down these differences (and backing them up with scientific studies, facts and statistics). 1) Men tend to be more logical and analytical. And since music (and many aspects of the arts) are actually based on logical structures, geometric relations and the like, men’s brains are surprisingly geared for art and music. 2) Men are much more spatially oriented. This makes an obvious impact on the arts, where our spacial orientation has a clear advantage… But it’s the same with music. When I play blues guitar or hammer on the drums, I’m not just hearing the music, I’m seeing patterns, and applying those patters in space… Whether it’s modes and scales on the guitar, or placement of patterns on the drums. But there’s also a third factor in our brains that has led to the very best artists and musicians being primarily male: Men are EXTREME. In the (controversial to non-scientific community) book “The Bell Curve“, Richard Herrnstein and Charles Murray cite extensive studies of intelligence (and the lack of intelligence), which clearly shows that there are two different “curves” for the spread of IQ across men and women. The IQ curve of women tends to be a narrower curve… On average, women tend to be of a similar IQ, all lumped in the middle of the curve, with not many at the extremes (extremely intelligent, or extremely stupid). Men, on the other hand, have a shallower, wider curve… Indicating that there are many more male idiots… but there are also many more male geniuses and super-geniuses. From Beethoven and Mozart to Joe Satriani, Elton John or the Beatles, men have the logical disposition for music… For music, at it’s core is actually rather mathmatical. There are very few classical masterpieces written by women… And not just in the renaissance, but today as well. What’s interesting also is that, while “manly men” may scoff at men who are artists and musicians, women unilaterally do NOT. Women tend to be attracted to creative men, men who are more “renaissance men” with artistic or musical capacity. So, the next time you’re thinking of a new way to express your manliness, do what I did… Go out and buy a guitar or a drum set… They’re surprisingly cheap, especially used… And start teaching yourself. I highly recommend online video instruction, as you can watch it as many times as you like, pause, and not feel embarrassed when (as with all beginners) you sound like a cat in a blender at first. Here is a great beginner drumming system (that I’m currently using).